Rebellion is contagious. Oh man, that tag line! It gets me every time. I really enjoyed Masque of the Red Death although I wasn't a huge fan of the writing style. 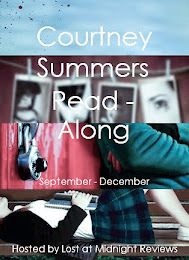 I thought it had a very interesting concept, and was a fresh retelling. I don't read a ton of gothic horror but Masque made me want to find lots more! I loved Araby and I really can't wait to see where she goes in Dance of the Red Death. And to see if I can choose between Elliot and Will! 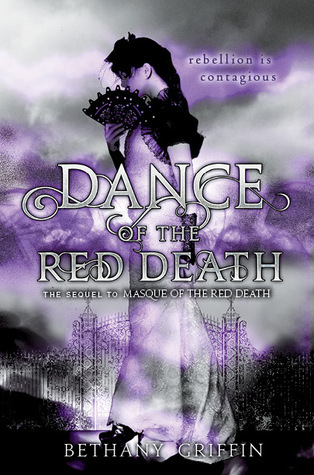 I will for sure need a refresher for the first one before diving into Dance of the Red Death because I can scarcely remember what happened in the first! I haven't read Masque of The Red Death because the negative reviews have kind of put me off but I will eventually get around to it! Sounds like you picked out a good book for this week. Hope you enjoy it! Here is my WoW! 17 & Gone Week: GIVEAWAY! 17 & Gone Week: Q&A with Nova Ren Suma! What Is So Awesome About 17 & Gone? Why Bloggers Want to Read 17 & Gone! Beautiful Creatures Series Challenge Extra Month! 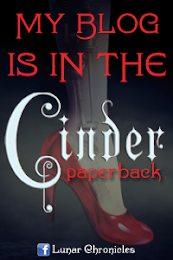 Marissa Meyer is Coming to Toronto! Series Catch-Up Challenge: Month 3!